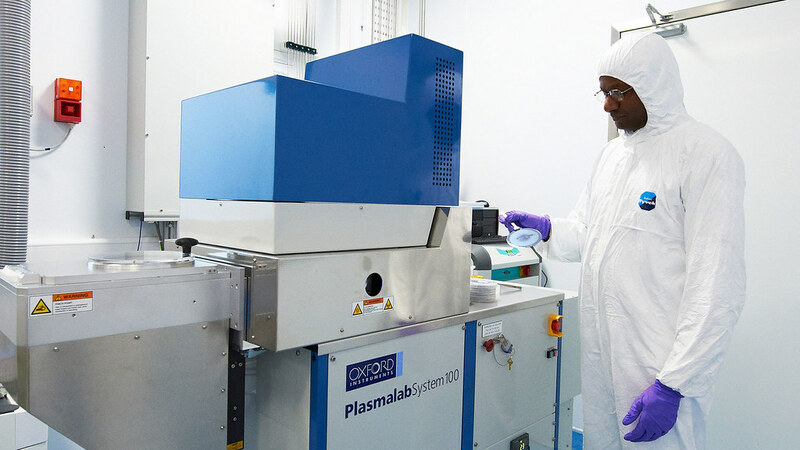 Dry etching is performed in our Oxford Plasma Lab 80 plus and Plasma Pro System 100 inductively coupled plasma (ICP) etchers. 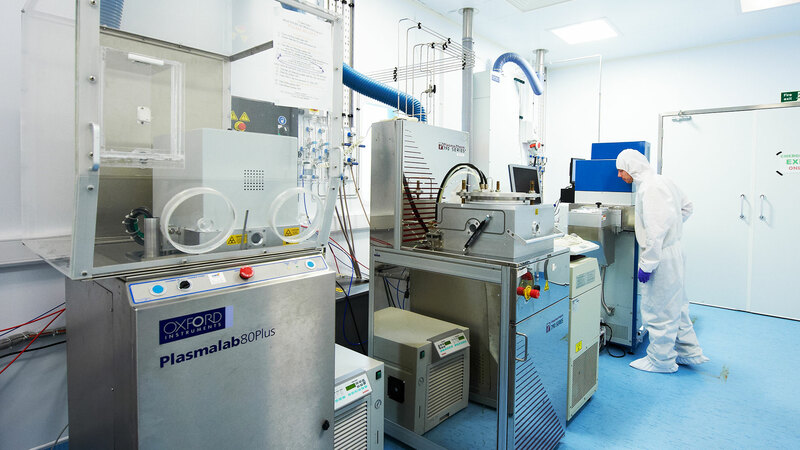 Currently these are configured to use the following gases: O2, Ar, CHF3, SiCl4, Cl2, BCl3, SF6, H2 & CH4 and recipes are well established to etch GaN, GaAs, Si, SiO2, Si3N4 and many thin metallic films. We also have an Ar ion miller for the dry etching of chemically stable material. In addition, we have broad experience with a wide variety of wet chemical etchants. For example, HF-based solutions are routinely used to etch novel photonic glass fibres, and KOH-based solutions are used to etch Si.